"Tavern Talkers" doesn't cut it? I'd LOVE to see those "references". Looks like a creepy serial-killer lair. 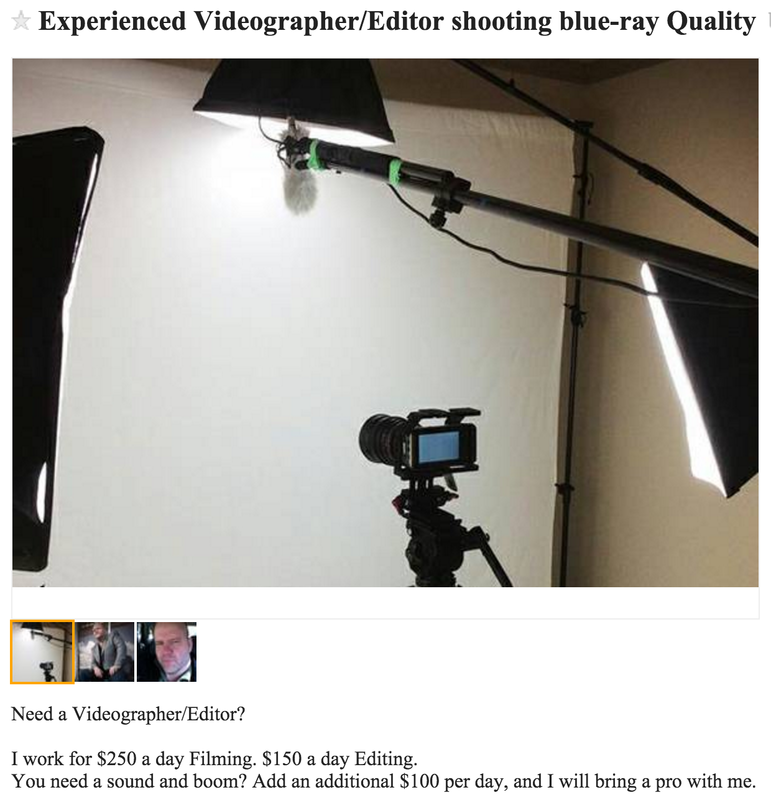 oh how nice - he admits he has 30k in film equipment (bought by kickstarter funds) after months of claiming he sold it all and it was "long gone" in private emails. Just embrace the theme and call them "The Bouncers". Also looks like his Facebook page for Atlanta Actors Marketing is closed down, and he's gone back to Co-op instead. Must be trying to get into pron. Kenny's doing so well that he's using craigslist to drum up business?